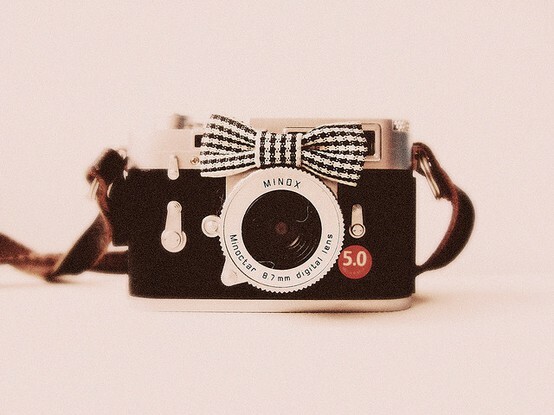 I would love to get a hold of a few vintage cameras someday. They are fascinating to me. I could hardly sleep last night awaiting the arrival of my sister Tricia's first baby! I have a new nephew, and with each new life, the world seems to smile and joy overflow. I am so happy for them. I have loved being pregnant alongside TWO of my sisters! Cousins!! Love that first image! So cute! aww, congrats to you + your family! I love the little kids with the cameras so cute! congrats to your new little family member! babies are so fun! Congratulations on the arrival of your new nephew - fantastic news! P.S. I am addicted to vintage cameras, too! that first image is presh! It's so amazing that you and two of your sisters are all pregnant at the same time!! Wow!!! Your family is so rapidly growing! And soooo fun that the little cousins can all be the same age... I had that with some of my cousins to and it was THE BEST! Congrats to Tricia and her husband!!! and to YOU an auntie once again. That is so much fun! It will be great for all of your kids.. cousins are the best! And that first image COULD NOT be cuter!! Anna---your grandpa had all of those vintage cameras!! I wonder what happened to everything. Your Aunt Polly might know....she has the old 8mm movie projector!! Oh my goodness! That first shot is priceless! congratulations to you and your sister :) beautiful!! I love vintage cameras too. Any vintage machinery actually, old typewriters, sewing machines. And how exciting about the baby. Yay! 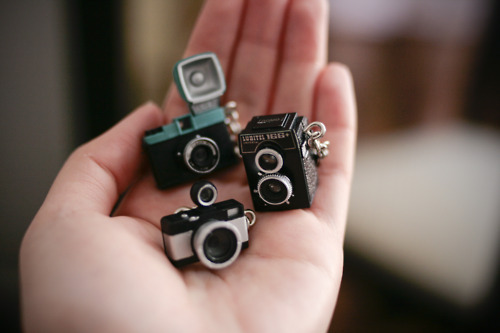 These cameras are so cute! It reminded me that I've been wanting a polaroid camera. Congrats Sister!!! 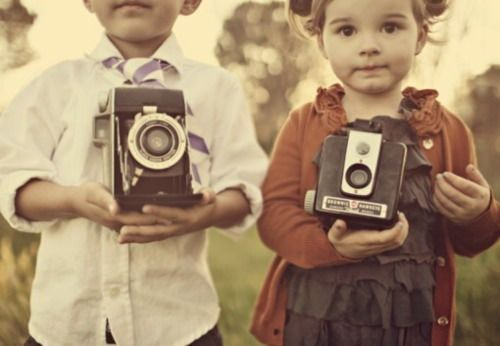 I love vintage cameras too... we were lucky enough to get some from my husband's grandparents after they passed. We have them displayed proudly in our living room :) Will have to photograph them for you to see sometime! Congrats Anna! It's great to have lots of kids in the family, and i'm happy my bro and sis made me nieces and nephews! I'm sure your baby will love to play with this one one day. Also, these pix are wonderful - so sweet! Little Diana and Fisheye looks so pretty! Goodness these are adorable! I have the last three from lomography, but it's never occurred to me to pose them together!